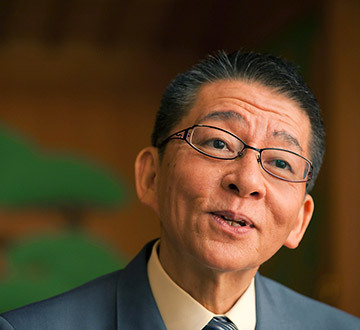 Kasai has been a familiar face to TV viewers as a long-time NHK announcer. He worked to present Japanese traditional culture to viewers in a way that was both fun and understandable, in a multitude of musical and cultural programs such as NHK Shumi Kōza— Shimai Nyūmon (NHK Cultural Series — An Introduction to Noh Dance) and Geinō Hana Butai (The Flowering Stage of Art). He has also given talks throughout Japan on Noh and other traditional arts and held lively discussions with famous faces in the art world. In his many books, Kasai has opened the doorway to the world of traditional art and culture to his many readers. With the first faint rustle of fall leaves in the air and the practice stage of the National Noh Theatre behind us, Kasai and I spoke while enjoying the natural aromatherapy provided by the wood of the stage. He spoke of his deep love for Noh and all of Japan’s traditional culture, as well as its people. Part 1 : What drew you to begin working with Noh? Part 2 : Enjoying Noh. What can we learn from Noh? 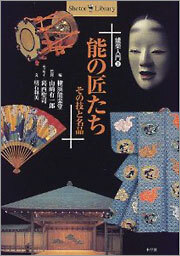 People experience Noh for the first time in different ways depending on whether they live in cities or the countryside. My first visit to a Noh theatre was in Tokyo when I was in junior high school. I don’t remember exactly which theatre it was or what play I saw. As my father was a regular salaryman, and I had little connection to traditional Japan. Perhaps because of this, I was fascinated by the unique feeling of the Noh theatre. The seriousness of the place made me feel like I had to be on my best behaviour, but I still managed to somehow fall asleep. I was really upset with myself for falling asleep despite my best intentions not to. I somehow linked my disappointment with falling asleep to the Noh theatre itself, and that is why Noh became boring to me. But when I give talks about Noh now, I feel like not being initially excited about Noh might have actually been a good thing. After this, I fell in love with Kabuki in junior high school and high school. My teacher brought me to a performance, and we got good seats on the second floor. I didn’t feel the seriousness I remembered from Noh, and instead was able to enjoy the performance with my friends. I saw a newspaper advertisement for a month-long series of Kabuki performances, and since they were offering a student discount, I realized I could go see it by myself if I wanted to. It was right around the time the National Theatre was newly opened, and I began to watch Kabuki on my way home from school in the cheap seats available through the student discount. I was both a little surprised and interested to learn that the Noh I had such a hard time enjoying was actually the basis for Kabuki. But I still wouldn’t say I was excited about Noh. In high school, I wrote the National Theatre a letter about how I had enjoyed the performances, and this began a series of correspondence with an older gentleman very familiar with the world of traditional Japanese arts. He told me that if I liked Kabuki, I should try Noh, and that Noh was his favourite. I was still a kid, and Noh still seemed too hard for me. When I got to college and could think more for myself, I became interested in studying Noh. This was the first time I decided to visit a Noh theatre by myself. It took me quite a while to find my way back to Noh. It took me a while to get there, but I finally became interested in Noh through my interest in Kabuki. Understanding Kabuki allows you to understand Noh, Japanese puppet theatre (Bunraku), and Japanese history itself, including its craft, clothing, colours, customs, manners, religion — lots of things. Noh and other forms of culture are great starting points for this. No matter the starting point, following it allows you to experience a variety of worlds. The world of Japanese traditional arts is one of rich connections. I started to understand this, and started to become fascinated by the classics that I hated in junior high school and high school like The Tale of Genji and The Tale of the Heike, actually finding them really fun to read. Cultivating these interests has allowed me to give talks and teach students about Noh. I started to really become involved with Noh when I started working and it became part of my job. I became an announcer to pursue my dream of sharing Japanese traditional arts through broadcasting. But my first two assignments were in Tottori and Miyazaki, two areas with little connection to Noh or Kabuki. I felt like I would have a tough time fulfilling my dream. I had fewer chances to go to performances. Sometimes I would go back to Tokyo to Kabuki Za, visit Minami Za in Kyoto when I had the day off in Tottori, or go study at the Kongoh Noh theatre. But since these chances were so limited, I was always over-excited when taking in the performances, and ended up absorbing less of what was happening. I wanted to enjoy Noh, Kyōgen, Kabuki and Bunraku for what they were, not as my job, so I set aside my dream job for the moment. I returned to Tokyo, but was filled with memories of my childhood, and, as if to regain lost time, I immersed myself in the world of traditional arts at the age of 35. Around the end of the Showa era, in 1988, I began to work on a television program on the traditional arts. I then happened upon the show NHK Shumi Kōza — Shimai Nyūmon (NHK Cultural Series — An Introduction to Noh Dance), broadcast from July-September 1989. Meeting with Akiyo Tomoeda, a lecturer for the program, was life changing. I call him with no honorific because that is how much respect I have for him — he is a hero to me. When you go to the Noh theatre for work, interviewing people and doing your job, you can’t relax and enjoy the performance as an audience member. With my new perspective on Noh, I was able to work alongside Akiyo Tomoeda, who I had met while producing a program, and learn a tremendous amount. I had one condition in doing the program. Since it was a program about practicing on a Noh stage, the idea was to have the actresses appear in the role of his pupils. I acted as the moderator between the teacher and pupils, and since it was such a rare opportunity, I asked to be one of the pupils too. You’ll never understand the vocals without singing them, and you’ll never understand the stage without stepping on it. I wanted to really experience Noh. Everyone was worried and asked me whether I could handle it, but I happily told them I would give it a try. I think I messed up right as the program started. We were recording two shots at the same time. There was only around an hour break between the first and second shot, and I had to get better in that short amount of time. It wasn’t until after that I realized that what we were doing was strange and seemingly impossible. The actresses of course quickly memorized everything. We had to move together, and since I was a professional broadcaster, I knew how to get this done. Since I knew where the camera was filming from, I could hide quickly. When I got home I did my best to remember my part to get ready for the next recording. Just following the program was difficult, and I honestly felt at the time I shouldn’t have agreed to it. The program would be seen throughout Japan, and we received many viewer opinions — like “the hakama is too short” — there was a lot of responsibility. But I was really glad to have done it, because I received the honour of becoming “the apprentice” of Akiyo Tomoeda. I was able to work right beside him and see everything. I got to see the actors not only from the kenjo, but also from directly on stage. It was wonderful, nearly enchanting. I wondered how they could move so beautifully. I learned a lot from listening to their conversations, and that helped solve one-by-one many of the big misunderstandings I had floating around in my head. Our first recording was at the Kita Noh Theatre. In the performance, a foreigner played the role of Funa-Benkei. Seeing this, I felt a sense of jealousy and regret. As a Japanese person, it really encouraged me to work harder. Feeling so strongly about this was one of the great things about having done this program. Kasai joined this book in essays on the masters and their works. After this, I was lucky enough to have the chance to interview many famous people in Noh and Kyōgen. I am exceedingly thankful to have finally fulfilled my dream of becoming an announcer on traditional arts at NHK. My relationship with the Yokohama Noh Theatre through my meeting with the head of the theatre Yūichirō Yamazaki was another very important part of my work with Noh. Now in his golden years, Yūichirō Yamazaki both performs and has long supported the world of Noh in other ways. He gave me the opportunity to give a lecture when the Yokohama Noh Theatre opened in 1996. I held talks with many different expert guests that contribute to the world of Noh — including many who appear on this website — including prop makers, mask makers, and fan makers, as well as stage builders. This added an extra level of pressure in addition to just broadcasting. It also really helped me to grow by correcting misunderstandings and reminding me of certain things I thought I knew but had forgotten. I felt like my eyes were really opened to Noh. I also had the chance to meet the best actors in every generation of Noh. The 15 years I spent with Yūichirō Yamazaki and the Yokohama Noh Theatre are years I will always treasure. 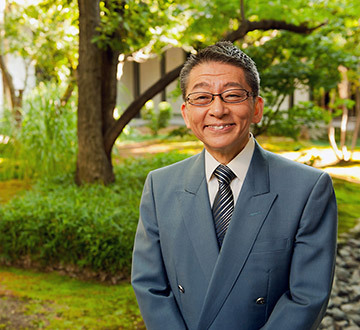 Born in Tokyo, Seiji Kasai graduated from the law department of Chuo University. He has appeared on numerous television and radio shows as an executive announcer with NHK. He now uses that experience to lecture on Kabuki and other classical arts, give talks on traditional Japanese culture at universities, run recital classes, and to write. He is a Japan Theatre Arts Association member, NHK Culture Center instructor, Chuo University public lecturer, and part-time lecturer at Nippon Sport Science University, Yamanashi Eiwa College, and Beppu University. He has authored Bunraku No Tsubo (A Treasure Chest of Words), Mei Serifu No Chikara — Nihongo O Kitaeru 76 No Kotoba, (The Power of Famous Lines — 76 Phrases to Improve Your Japanese), Kotoba No Kissaki (The Cutting Edge of Words), and co-authored many works including Noh No Takumi-Tachi (The Masters of Noh), Nohgakushi Jikenbo (A History of Noh), Noh Kyōgen Nandemo Shitsumon Bako (Noh and Kyōgen Q&A) and Migoto Na Shi (A Beautiful Death).